1. 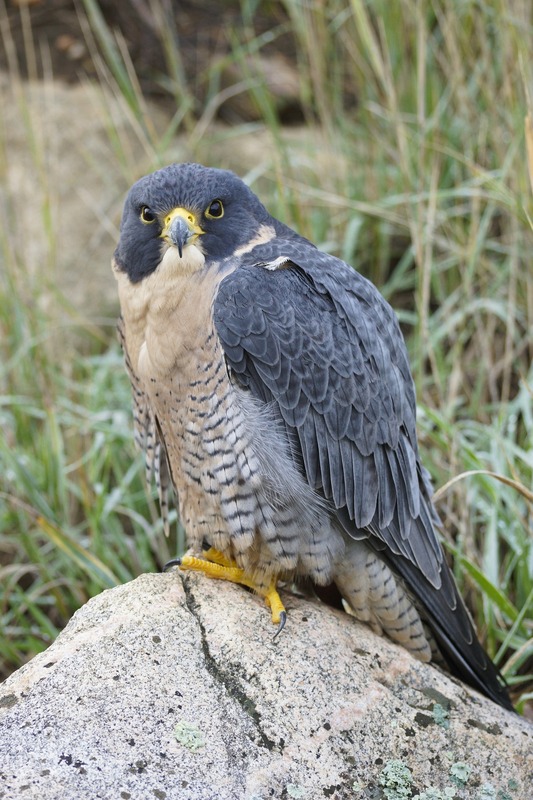 All week a peregrine falcon has been stalking our chickens from the remains of a dead tree on the edge of the barnyard. This morning, we found the falcon inside with the chickens in the coop. This top predator, built like a torpedo and armed with talons, had spent the entire night closed up with the hens and three roosters and not a bird was harmed. 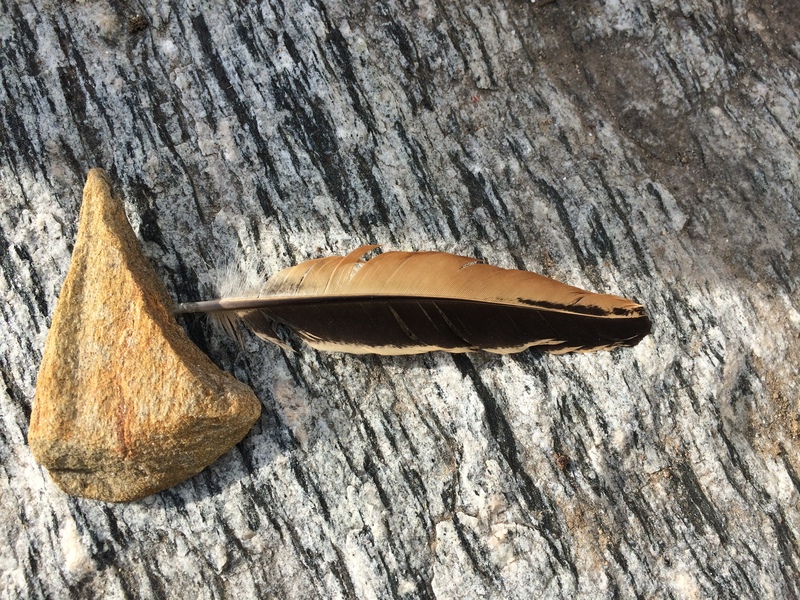 He calmly flew away when we opened the door, leaving this feather as a calling card. 2. Two years ago, I lost my patience with a burgeoning mice population in our barn. Evenings I’d close up the hens to find upwards to thirty mice lined up in the chicken feed hoppers, as if it were a Vegas buffet table. They were eating a significant amount of grain, so I became aggressive about laying traps and poison. I felt nothing short of shame when I saw the destruction. In one morning I picked up about 50 dead mice and with a prayer of regret returned them to the woods. Immediately following our coop came under siege by a weasel, with 3-5 birds killed a night, amounting to over 50 birds lost by the time it was over. Our quest to rid the barn of the weasel stopped just short of the last scene in Caddyshack, where Bill Murray’s character finally rids the golf course of the gopher by blowing up the entire thing. Many months later I read that weasel populations rely on native mice for their food. 3. Sometimes things go unusually well in the henhouse. Up to six months can go by without a chicken being predated while free ranging; none of them get ill; there are no bloody battles between roosters. I’ve noticed during these times of henhouse peace that egg supply and egg demand are remarkably balanced. Our egg orders are variable as we have about 50 customers who order eggs in Boston and off our porch. The hens can lay between 20-40 dozen eggs a week. I have had straight runs of up to a dozen weeks where the exact number of eggs ordered match the number of eggs laid; but these times only coincide with a reign of henhouse peace. 4. Our peacocks are 20-months old and now forming eyes on their tail feathers. 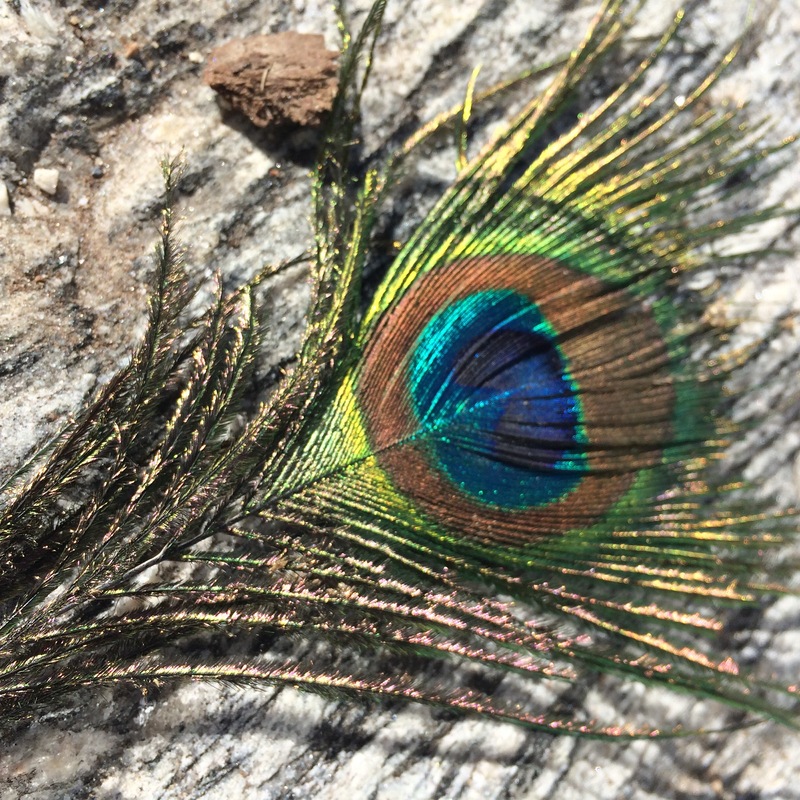 Friday morning, on the week anniversary of my father-in-law’s death, I found my first tail feather on the ground of the barn, in a place that the peacocks do not range. I have no idea how it got there; but it was directly below the water spigot, where I would not miss it. The peafowl are significant to me as a symbol of love, rain and separation. 5. And lastly, there is this strange story of a neighbor boy who had lost his mother, but found his favorite chicken had wandered over a mile to his house in the pouring rain. 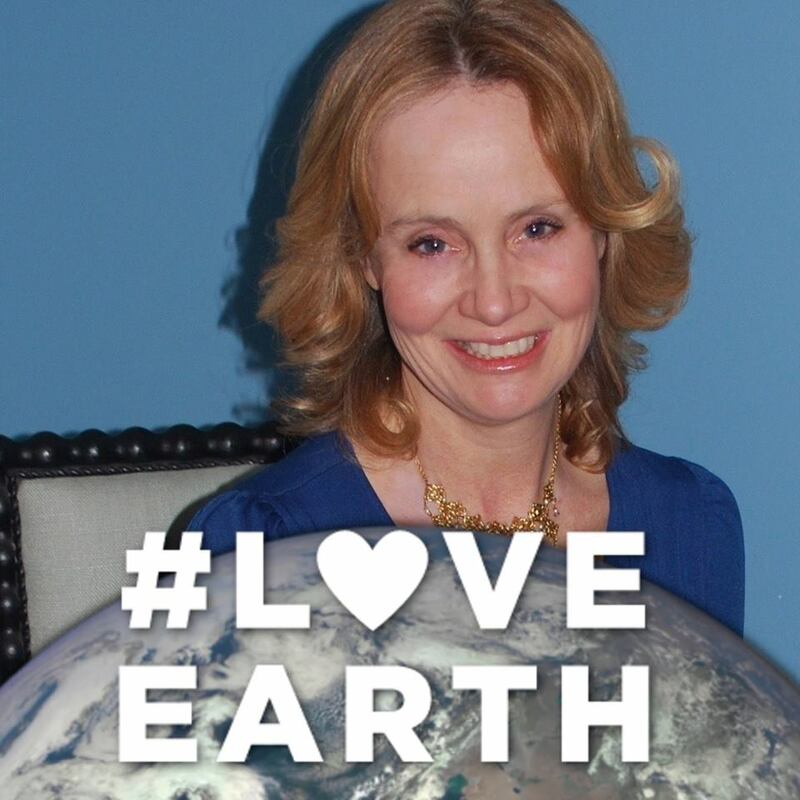 Laura Parker Roerden is the founding director of Ocean Matters and the former managing editor of Educators for Social Responsibility and New Designs for Youth Development. She serves on the boards of Women Working for Oceans (W20) and Earth, Ltd. and is a member of the Pleiades Network of Women in Sustainability. She lives on her fifth generation family farm in MA.